Commercial painting jobs in the Salinas and Monterey Bay Area is our specialty, from small office spaces to large commercial buildings our experienced team of commercial painters can facilitate both your interior and exterior painting needs. We at Speed Boy Painting having the knowledge and skills to complete any commercial, Residential or industrial painting job in the area. Make the call today and find out why so many others have chosen to have our expert painters facilitate their painting needs. Our 100% Satisfaction Guarantee assures that our painters are providing excellent customer service accompanied with the years of painting skill. Painting your commercial building is a huge project that costs thousands of dollars to execute. You want to make sure that you get the best results upon completion. This is only possible if you get someone who has what it takes to deliver quality within a given timeline. Here are tips on how to choose the right commercial painting contractor. Ask other companies who have had an experience with commercial painters for recommendations. You can also turn to friends, business associates or professional bodies for more recommendations. It is imperative you get more than three referrals to enable you evaluate them further and choose the best candidate. Only take referrals from people and agencies you trust. A commercial painter must be fully certified by the relevant bodies in Monterey CA. Only hire a certified and licensed company. A certified company has the skills and qualifications required to make your vision a reality. A company must prove beyond reasonable doubts that it has the skills, resources and ethics to offer excellent services before it qualifies for certification. Hiring such a company guarantees that you won’t have your project handled by a novice who don’t know the ins and outs of commercial painting. Experience is one of the main factors you should consider when choosing a commercial painting contractor. Whether it’s commercial or industrial, good contractors should have at least five years of experience. 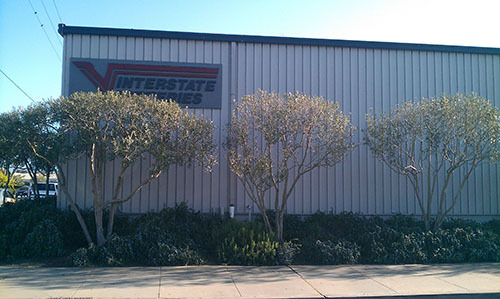 Companies who have been around for a long time have an established presence in the Monterey Bay Area. Most companies who have been around awhile have the knowledge and resources needed to produce quality work. 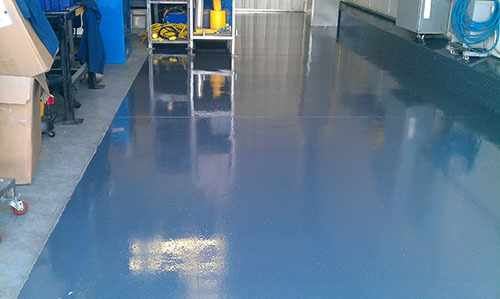 They can easily identify and stop drippings, runs and color inconsistencies within no time. An experienced commercial painting contractor also knows how to deal with cosmetic issues such as damaged dry wall, cracks, dings and repairs. Based on the high level of experience, the commercial painters know what can work and what cannot. An insurance policy is a must-have feature of a commercial painter. This is because painting is very risky and might result in a wide range of accidents. A company with an insurance policy will have nothing to worry about since its workers and other people on the site are covered. The insurance coverage also protects the property in case of any damage related to the project. Not all commercial painters have insurance policies. You may want to check with the prospective company just to be sure. A company without insurance may make you liable for all the damages and injuries that occur at the site. You need to research the commercial painting contractor either online or in the local repositories. An extensive research will uncover the hidden details about the contractor to enable you make a good choice. Go to the company’s website and see how it handles clients. Check online review platforms to see what people say about the company. Some professional and regulatory bodies keep details of all their members, including disciplinary actions taken against them and customer complaints. You can inquire with painting regulatory bodies in Monterey CA to see if the company you are about to choose has a good track record. A good commercial painting company should provide you with a list of references. Ask the company to give you the details of at least three previous clients. Call these clients and ask them about their overall experience with the company. Let them tell you how the company handled their project. Ask them to show the buildings the company painted and see if you want the same results. Try and convince the references to give you an honest opinion about the company, including their satisfactions and disappointments. Request for initial appointments with companies you feel are most suited for the job. You can either visit the company’s offices or make a call. Ask them how they plan to execute your project and how much it will cost. Let them tell you how they will handle emergencies and who will be responsible for maintenance. You should also know the number of employees who will work on your project. Take the opportunity to see how the company handles your questions. Make a decision based on the company’s experience, past projects and customer service quality. Feel free to call Speed Boy Painting for all your commercial painting needs. We have delivered smiles to happy clients for over 25 years as the premier commercial painters in Monterey CA, Salinas CA and the surrounding areas. We are well known for our huge projects on the Central Coast and employ some of the most experienced painters. Talk to us today to get the best high quality commercial painting job your business deserves.